Bagni di Lucca is a collection of villages on the edge of the Garfagnana area of northern Tuscany. It has been famous for its thermal springs since Roman times. The drive the villages follows the Serchio River from Lucca. Just before arriving in Bagni di Lucca, the Lima River joins the Serchio near the incredible Ponte della Maddelena, or Devil’s Bridge. Matilde di Canossa had the bridge built in the 12th century to allow locals access to the springs. The bridge still stands as an excellent introduction to the area. Bagni di Lucca’s heyday was in the 19th century. Napoleon’s sister, Elisa Baciocchi, who was Princess of Lucca for a time, liked to spend her summers in the cool air of Bagni di Lucca and ordered a better road to be built. Soon the spa villages became popular with European aristocracy and they became part of the “Grand Tour”. Byron, Shelley and the Barrett-Brownings were visitors. A Protestant English church was built, quite a feat in Catholic Italy. The church remains, but today it houses a library and historical archives. The very first casino in Europe was built in Bagni di Lucca in 1837. It has been closed as a casino since last century, but now it is used for concerts and events. The casino in Bagni di Lucca. There are 3 villages hugging the Lima River. 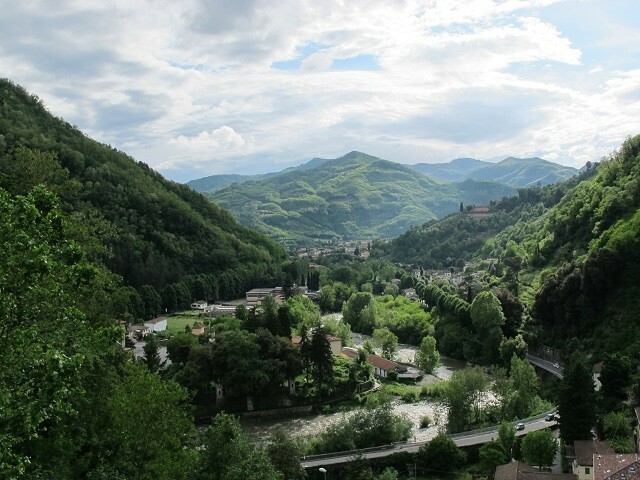 The prettiest of these is Ponte a Serraglio, a perfect place to base your stay in the area. The cute little piazza invites you to stop and admire the view. There is a great cafe and pasticceria where you can sample the delights made every morning by Annalisa and her team. I can recommend the apple sfoglia, and the coffee is excellent. A brisk walk up the hill to Bagni Caldi is the thermal complex of Jean Varraud where you can find 2 natural steam grottoes, one of which was the personal grotto of Elisa Baciocchi. After a 20 minute steam, sweating all over, you are swathed in cotton sheets and a blanket and invited to lie down in a gorgeous room with vaulted ceilings and made to rest for 20 minutes before being led away to enjoy a therapeutic massage. You need at least a week in Bagni di Lucca to explore the 25 villages and hamlets that cling to the mountains on either side of the river. Each one is different and has a rich historical heritage. One of my favourites is Montefegatesi, the highest of the villages at 840 metres above sea level. The village dates from the 800s and a walk the town reveals centuries of history. At the very top of the village is a monument to Dante Alighieri, an excellent point to aim for. Dante is rumoured to have stayed in Montefegatesi and drew inspiration for his writings here. The view from the top makes the uphill walk worthwhile. Stand beside Dante and take it all in. 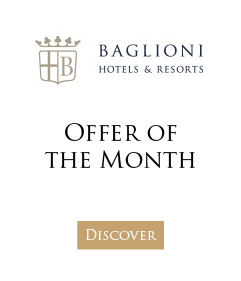 Spring and autumn are the best times to visit Bagni di Lucca…great for walking in the clear mountain air and enjoying the delights of authentic Italian villages. Lucca is one of the loveliest towns in Italy. It was founded by the Etruscans and was at one time a Roman colony.